We are a dance school from Milan. Our dancing courses vary depending on the dance style you want to learn. 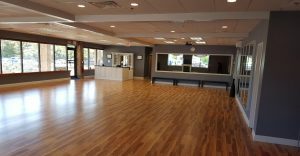 We can teach you modern contemporary dance choreography, ballet, free style dancing and of course modern hip hop dance classes. Contact us and we can schedule an appointment. 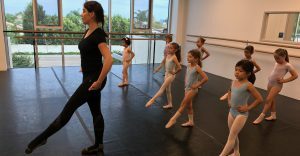 If you are a beginner in modern dance, here are the indispensable basic modern dance steps for beginners that you should know. – Stag Leap: The stag jump is a very high jump in a slit, but although both legs are parallel to the ground, the front leg is bent from the knee inward and the arms are often thrust up in a “V” form. – Stag Turn: In this step, the supporting knee is slightly bent, while the other leg is up in the air and bent behind the body. – Flat Back: The Flat Back is actually a series of movement, but the basic movement makes a “table” of the body. The dancer is in the second position, feet turned from heel to heel and the arms are along the sides, while the body leans forward from the hips. – Hinge: In the Hinge move, the dancer swings in the balls of his feet while holding a straight back and head, sending the knees forward as the torso bends back and the arms hold forward. When talking about hip hop dancing, you should definitely check out the history of hip hop music and how it was founded. Given the amount of Hip Hop Dance songs that could enter in the society, it was only a matter of time before they affected other styles. The modern dance is born, with an intention to lead dancers to express their emotions and let them inspire their movements. 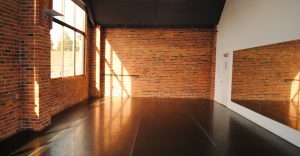 Today it’s super easy for those who want to learn to dance hip hop, because there are so many dance studios where you can have your first modern dance steps even if you are a beginner. Follow lavanderiaavapore.it and make your dreams come true by taking modern Hip Hop dance classes in our Center for Modern Dance Education. What is a modern dance? This is the purest and simplest form of music movement you can experience. It can be fast, slow, high impact, flexible, resistant, quiet, frantic and more. It’s a mix of all dances and all kinds of movements, tempo, and feelings that you can imagine. It is an excellent method to work out and burn some calories while having fun and experiencing different styles of dancing. It doesn’t matter your age, old or young, professional or beginner, there is something for everyone. 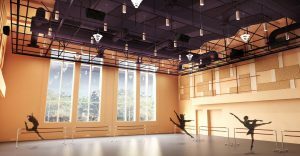 So, Lavandaria a Vapore can be the right place for choosing a Center for Modern Dance Education, if you want to start with modern dance for beginners or modern contemporary dance classes. Contemporary choreographers divert other forms of dance, mixing them with other artistic disciplines such as theater, circus and plastic arts. In this way, modern contemporary dance choreography seeks to surprise the viewer and, through this means, to create emotion and generally to convey a message. The way is open for a real gestural search based on the possibilities offered by the human body in movement, which has become the essential of modern choreography. The choreographers of this new generation of contemporary modern dance pose their reflections on modern society (advertising, consumption, clips, sexuality, fashion, etc. The scenography is served by increasingly sophisticated multimedia and audiovisual techniques.